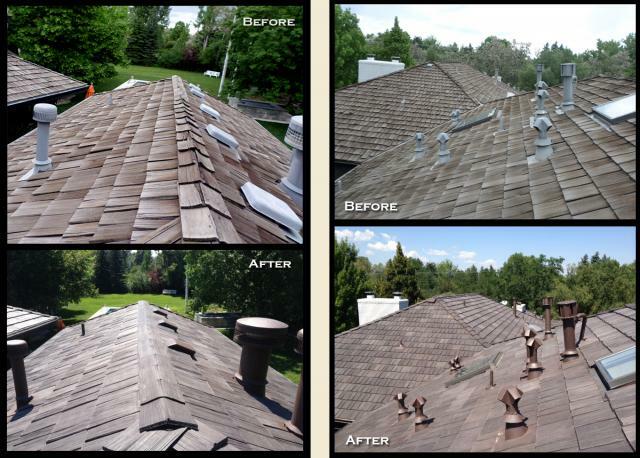 This project was completed by longtime contractor, Peak to Peak Roofing out of Denver. The old shake roof was more than 20 years old and had some wind and hail damage when Peak to Peak recommended it be replaced with Bellaforté Shake Tiles in Abruzzo. Check out these awesome before and after shots of the roof. For homeowners who currently have shake and need to change to a 50 year product, but want to keep the look they have, this is definitely something to check out.